I had an opportunity to test and compare Sony XBR75X850F vs XBR75X900F – two great solutions from a world-leading manufacturer. Sony XBR75X850F belongs to the X850F series and Sony XBR75X900F is from the X900F. Both series include other top-tier TVs with many functions. These are 2018 year models. Both models are high-priced ones since they cost around $2000. XBR75X850F uses an IPS type display and XBR75X900F uses an LCD type display. Both TVs support the modern 4K standard. Colors are vivid and natural, plus both TVs have various video enhancement technologies. Both models have a TRILUMINOUS display. 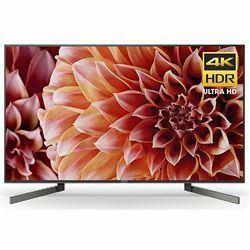 These TVs can perfectly handle dynamic scenes, but if we compare Sony XBR75X900F vs XBR75X850F in terms of technologies, we will see that XBR75X850F uses the Motionflow XR technology versus the X-motion Clarity technology that XBR75X900F features. XBR75X900F also has the Xtended Dynamic Range Pro to make colors look deeper, but XBR75X850F has the X-reality Pro feature that makes the smallest detail look clearer. 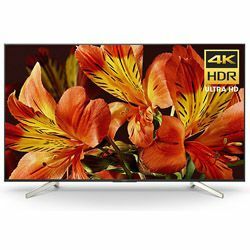 These two TVs use the 4K HDR X1 processor (XBR75X900F uses the X1 Extreme, which is more powerful) that assures a high level of performance, so the video does not lag or stutter. Moreover, the processor allows using various technologies in real-time. Both models support the Alexa voice control technology. These TVs use the Android TV feature to allow you to access various internet services. However, XBR75X900F supports such features as Dolby Vision and IMAX Enhanced, while XBR75X850F does not. XBR75X850F has a Y-shaped stand and XBR75X900F has an L-shaped stand, but both TVs can be wall mounted. Both models look very modern, the bezel is extremely thin. The dimensions are 65.86x40.59x14.6 in for XBR75X850F versus 65.9x40.62x13.97 in for XBR75X900F (with the stands). The stand height is around 3 in high. Both models can be controlled with an ergonomic remote controller. These TVs have 4 HDMI and 3 USB ports. The TV is easy to install and setup – the UI is truly user-friendly. The Android TV works great (no errors or lags). The picture quality is amazing – high refresh rate and extremely sharp small details. The remote controller is very responsive. The black color is not saturated enough. It outputs a clear picture – the colors are vibrant and no motion blurring. It is easy to setup due to well-designed menus. Great flexibility – you have many parameters to tweak. Some customers experience issues with the Android TV – the application may take some time to load or make a TV unresponsive.